In today’s digital landscape, video is a powerful medium for creating connection and sharing messages. However, most advisors don’t have a background in video production nor the budget to hire a professional team every time they want to talk to the camera. That’s where DIY comes in handy. To do it yourself, it helps to know a thing or two. So, here’s a roundup of my top tips for every financial advisor who wants to DIY their own videos. No need to buy lighting equipment when you have the world’s most powerful light source at your disposal—the sun. When it comes to video, the sun can quickly go from friend to foe unless you know how to use it to your advantage. The best lighting for DIY videos is indirect natural light. Decide where you want to record your footage, then take note of when that spot gets the best sunlight. Rooms with west-facing windows will have the best light in the morning, while rooms with east-facing windows will reach their prime in the afternoon. I highly suggest using a camera with a quality lens. So, what’s “good enough”? This litmus test is pretty straightforward: if you’re able to capture a clear image with your lens, then it’s good enough. The clarity of your video is surprisingly important for creating a positive impression in the eyes of consumers. Some computer cameras don’t make the cut, while many smartphone cameras do. 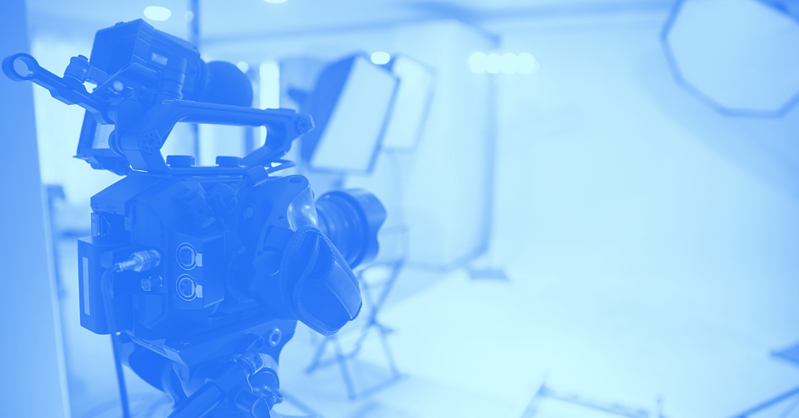 Consider using the best of what you have for now and upgrading your equipment once you’ve decided—and validated—that videos will be an integral part of your marketing strategy. The third most crucial tip is to act natural. Easy, right? Fortunately, I know a few tips to achieve that effortless made-for-the-camera vibe. First, record multiple takes until you feel—and appear—natural. Typically, advisors shoot three or four takes before they even start to warm up. Just press record and start trying. Shake it out if you feel yourself becoming stiff or nervous. Another great way to come across as natural and unscripted is to get comfortable with what you’re going to say and then speak off-the-cuff. Create an outline and practice the flow, but don’t work off a script. Reading verbatim from a script won't do you any favors; you'll sound over-rehearsed and unnatural. The quick list above reviews the core of what you need to DIY your first few videos. If and when you’d like to move beyond the basics, read on. Creating videos requires significant time, especially when you’re just starting out and trying to find your rhythm. Strong preparation will better ensure you’ll look back and think it was time well spent. With a clear intention for every video you create, you’ll have a purpose and thus a better idea of what you want to say, or rather, of what you need to say, to effectively communicate your message. You won’t flounder around with a lack of clarity. I want to welcome website visitors with a personal introduction to me and my team. I want to build a following on YouTube and this piece of content has good SEO potential. I want to experiment to see if my LinkedIn connections will engage more with video than my blog article links. I want to create a freemium course to convert website visitors into leads. I want to offer various content formats on my Resources webpage to see what viewers engage with most. With your intention set, you’ll feel ready to rock. At this point, I see a lot of video DIYers either procrastinate or aim for perfection. These are surefire ways to waste time. Instead, jot down a few notes about what you think you want to say, then pull up a camera (your smartphone or Mac’s Photo Booth app) and do a scrappy dry run. This should only take 10 to 20 minutes (and yes, you can delete the footage). In my experience, a quick and scrappy video turbocharges your creative energy. You’ll get some nerves out of the way (which is why I suggest actually recording your dry run), stumble on your words a bit, notice which parts of your outline need further refining, and maybe even get clearer on the message you’re trying to convey. In short, you won’t be working from a blank page anymore. You’ll be in motion. It’s time to film your video! “That’s not a good angle for me”—nope, this is not a vanity thing. The placement of the camera impacts the shot you get and the vibe you give a viewer. I recommend placing the camera slightly above your eye level, angling down. When it comes to your surroundings—specifically what will be captured on camera—attention to detail matters. Every visible thing makes an impact. For example, piles of paper on your desk may come across as “disorganized” or give someone a subconscious worry that client documents float around your office. I don’t say this to be harsh or judgmental. I say this to demonstrate the impact of your surroundings. What you choose as your backdrop will vary from video to video. Just be deliberate. Consider your intention for the video and make sure your surroundings support that intention. Post-production is a fancy term for what happens after you’ve filmed the video. DIYers often find editing to be one of the biggest challenges with one of the steepest learning curves, so I’d like to address a few beginner tips here. This is a clever technique used by video creators at large. The idea behind “shooting for the edit” is that you film in a way that makes editing faster and easier. Rehearsing before you film is just one way to reduce the amount of unusable footage you have to sift through. For some videos, shooting for the edit may mean you present the content in a single clip. For others, it may mean you’re conscious of inserting “breaks” in your shots so it’s clear how to edit later (think clapping your hands when you want to edit something out). If your video involves shooting multiple clips and piecing them together later, I suggest giving a thumbs up to the camera after you got the best shot. This way, you can look for the moments you gave a thumbs up and grab the clip that preceded it. The first video I edited was eight minutes long and took me eight hours to edit. While this might seem crazy, it’s totally normal. Each step of DIYing your first video has its own learning curve. The first-ever video you edit might take several hours to complete. The good news is you will get much better with practice. I can now edit an eight-minute video in about 30 minutes, and a 20-minute video in about an hour. My advice is to choose one editing software and commit to learning it. This way, the eight hours you spend on your first video will be an investment in your skillset. You’re developing a new skill, so be patient with yourself and stick with it. I suggest Apple users start with iMovie and PC users consider beginner-friendly options such as Lumen5. Members of XY Planning Network (XYPN) are encouraged to share their work with peers, ask questions through the community forum , or even start a study group with other video creators. You’re never alone with 850+ (and counting) coworkers. Not an XYPN member? Our Facebook VIP Community is a great place to engage, network, and connect with others. Carolyn Dalle-Molle is a professional marketer with several years of experience helping small businesses reach their growth goals. Her approach to marketing is both creative and analytical; helping people achieve a creative flow that’s unique and exciting, while using tracking and metrics to learn what actually works for their business. 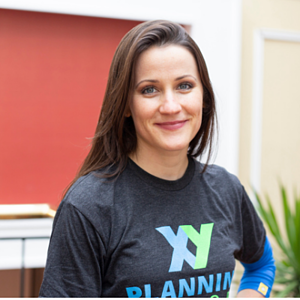 Based in Boston, she's honored to work with XY Planning Network from coast to coast. Outside of work, she enjoys volunteering with elderly, making videos, and traveling with her friends and family.